Haven’t had a lot of shop time in the past week, too many tasks around the house and yesterday was a complete wash (rain all day makes for stir-crazy kids). But, I did get out there today and made some sawdust. First I took the random orbital sander to the coopered first stage section and smoothed it out into a nice purty arch. Then I got busy cutting and planing the sides of the second stage. I want to let the final design of the hatch on the coopered section of the first stage percolate for a few days before I get back to it. 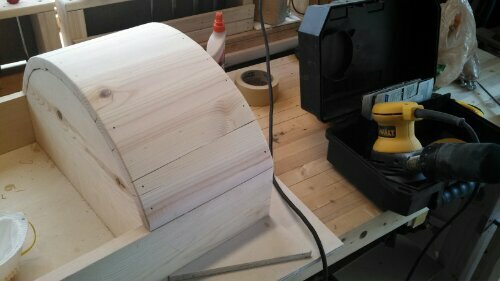 Once the sides of the second stage were pocket screwed and glued in place, I began work on the bottom shelf, which is curved like the others, only half as deep. 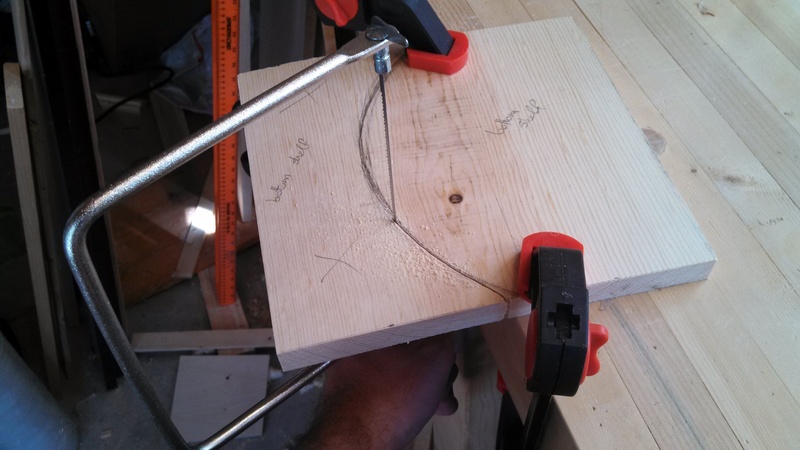 Ironically, I got better, smooth results—even faster—from the hand powered coping saw than from that P.O.S. Black and Decker jigsaw we have. Amazing. This shelf will be the template for cutting the other two so I am taking my time and getting it right. Then I put it all together for a progress picture. I’m liking how this is turning out! 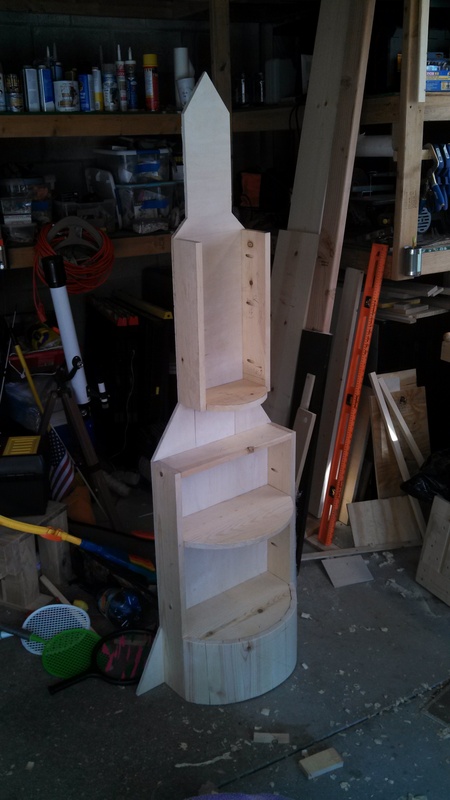 This entry was posted in Projects and tagged bookcase, coping saw, jig saw, pine, rocket. Bookmark the permalink.